that you have specific training on the particular crane you will be operating. 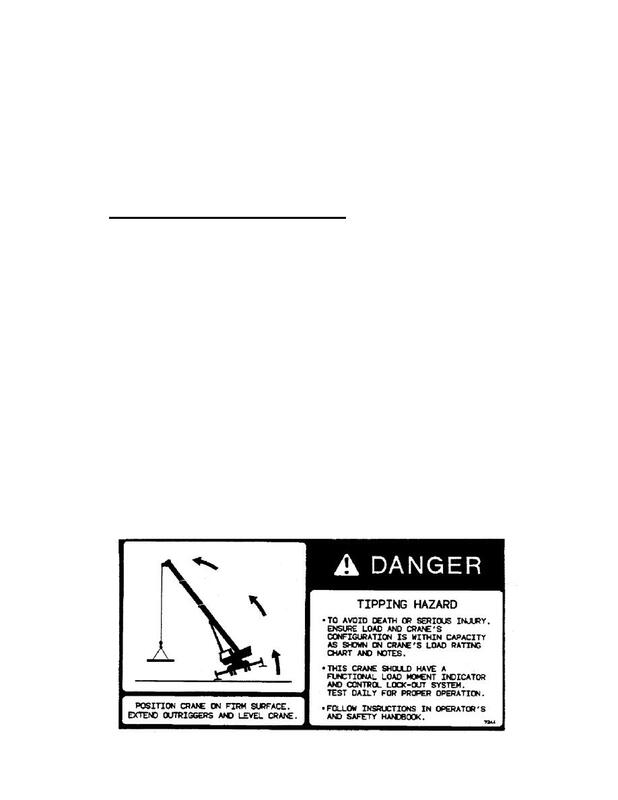 or that of others by attempting to operate a crane on which you have not been trained. physical, visual, and mental reactions and capabilities. crane's configuration within capacity as shown on the crane's load rating chart and notes. also be pinned when operating from the mid-extend position. This crane should have a functional load moment indicator and control lock-out system. the load chart for backwards stability. position. Retract the boom proportionally with reference to the capacity of the applicable load chart. the weight of the load before you attempt the lift.